Scientific name: Aratinga solstitialis (Linnaeus, 1758). CITES status: CITES II - ENDANGERED. (from head to tail), with a slender build and a large head and beak. have such striking beauty, they were bought and sold to Mexico and the Caribbean and became very abundant in those areas as well. Posting to a public website does not imply public domain. All photos are subject to Copyright Laws. Nice picture.... We have one named Sonny. 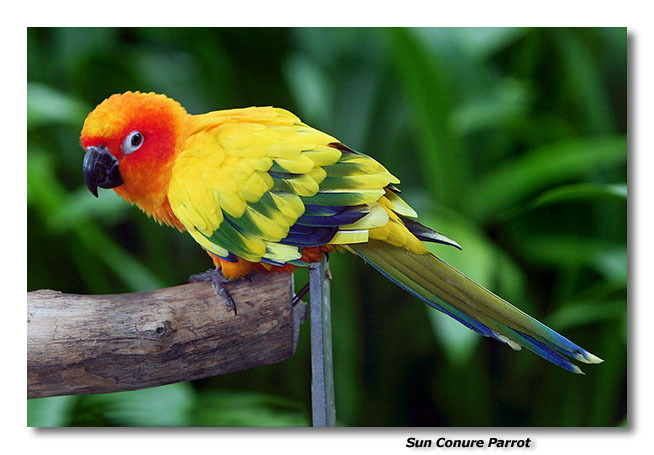 the most beautifull picture of a sun conure on the net i have found keep up with the good pictures you are doing a wonderful job. you have the most amazing pictrures...they're so detailed they display every single feather....great work!! !